Despite growing security concerns, millennials see the overbearing security protocols at work as restrictive and counter-productive. 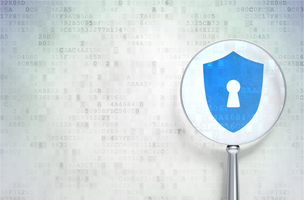 Data security is widely regarded as the number one concern for companies. Consumers are worried about their data and IT professionals are concerned about the cloud. Still, millennial employees in particular, seem to lag behind in security adoption, and it’s likely because tech companies have overbearing security policies. According to TrackIt survey data cited by Wired, 60 percent of millennials “aren’t concerned about corporate security when they use personal apps instead of corporate-approved apps.” It may be because they believe it’s not a big deal, but the data seems to indicate that clunky security mandates are behind the lack of worry. The heavy-handed solution to an environment with a bring-your-own-device policy is to blacklist certain apps. There are a myriad of problems with this approach: IT departments can’t keep up with the release of new apps, blacklisting kills productivity (instead of saving it) and can sow discord between IT departments and other employees. The idea behind blacklisting to save productivity backfires most harshly when it comes to productivity tools that haven’t been employer approved. According to the TrackIt data, “nearly 50 percent of millennials bring personal apps into enterprises because corporate apps don’t meet their needs.” And because of the discord between employees, 69 percent of millennials say they have never worked with IT to select new corporate apps. Skype, YouTube and Facebook may seem like time wasters to corporate management, but when communication tools and vital parts of marketing campaigns are off limits, millennials will find other ways. The key to increasing security awareness among millennials is to work the way they work. The solution in a BYOD environment is multi-persona virtualization, according to Wired. Among such a tech-savvy group it makes no sense for corporate security concerns to be so sidelined. Allowing millennials to demonstrate their needs through multiple personas on their operating system could enable IT departments to find better solutions to workplace technology needs and could spur innovation within the workplace. Then, security wouldn’t just be for nerds.